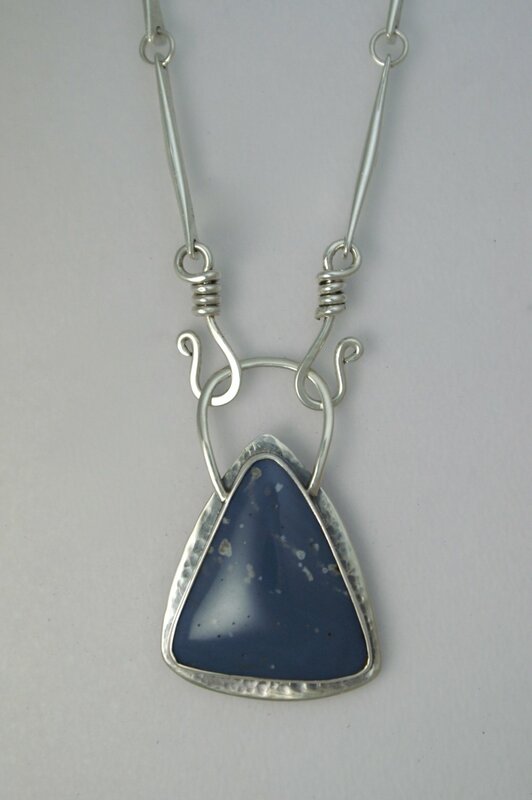 All work is created using the fabrication method, handcrafted from heavy gauge sterling wire or a flat piece of .925 sterling silver. Using a saw and hammer, each piece is given its shape. With careful filing and sanding, personality and uniqueness is developed. Finally, three stages of polishing provide a brilliant finish. Byzantine, Foxtail and Full-Persian link bracelets are created using 7mm jump-rings and finished with handmade sterling clasps from Bali, Indonesia. 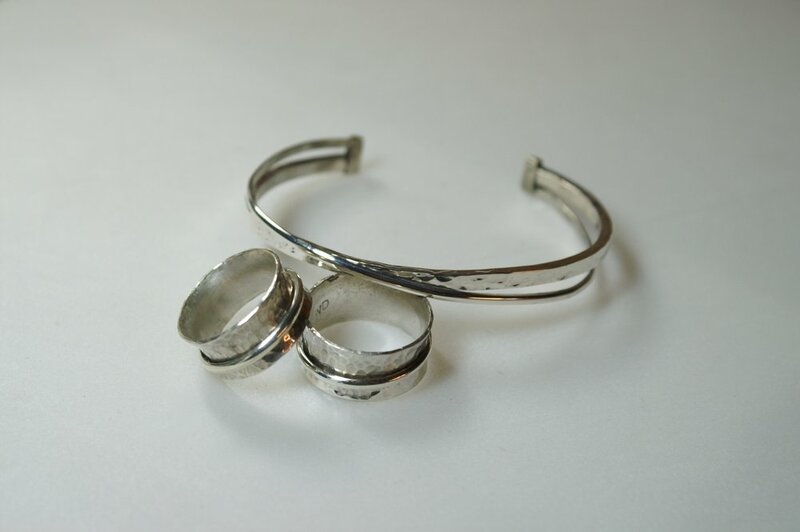 A wide range of earrings, bracelets and rings are created to suit a variety of budgets and tastes. All pieces shown here can be readily made to order. 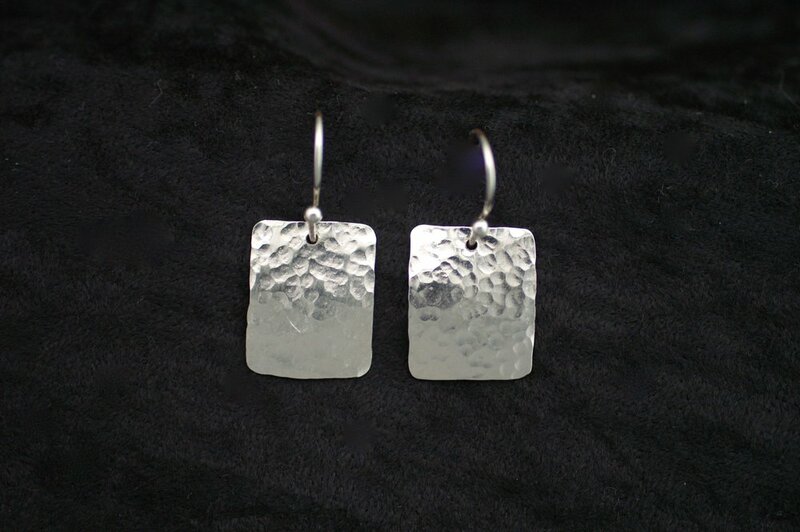 Hammered pieces can be made in plain sterling silver upon request. The Bone Link necklace is forged out of 12-gauge sterling silver. Each end has a handcrafted hook that can connect onto any centerpiece pendant or hooked together to be worn alone.